Directors Ron Clements and John Musker are among the most accomplished filmmakers in Disney animation history, having delivered many of the company’s most beloved features of the past thirty years. 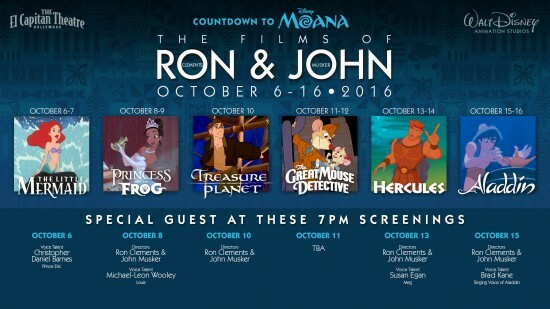 Now, as Disney prepares for its release of the duo’s next movie “Moana,” the El Capitan Theatre in Hollywood has announced it will host a “Countdown to ‘Moana'” animated film festival showcasing the highly-successful partnership’s entire body of work. The “Countdown to ‘Moana’” event features six iconic films; on select nights, the 7 p.m. shows will feature special presentations by filmmakers, artists or voice talent that will include discussions, Q&A and more surprises. 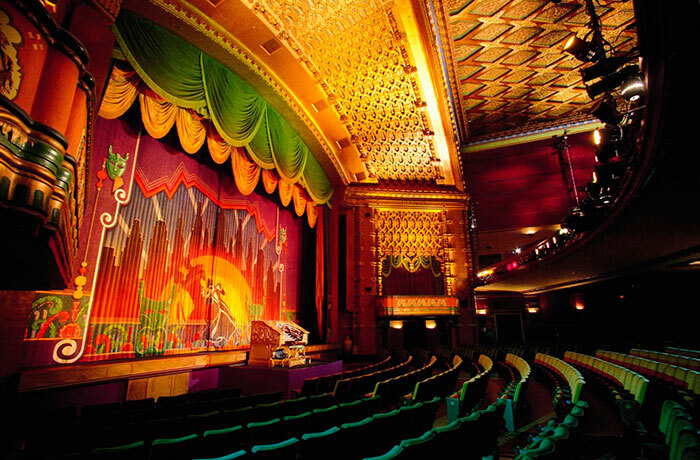 Special presentation on Oct. 11 at 7 p.m.
Be sure to visit the official El Capitan website for more information and to pre-order tickets. These shows are bound to fill up fast! Nowadays Animated movies have a large audience. Numbers of movies are there which are the landmark in industry. like frozen and brave. Hope Moana add another mark.